As I'm one of the Tweetdeck user, somebody has post new XSS on twitter causing thousand of user automatically retweet the XSS script message. This is only affected on TweetDeck on browser so far. An example of post has been retweet. 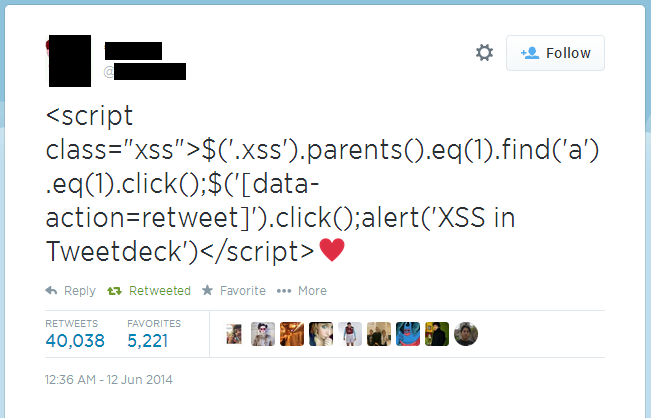 An example of XSS message poping up. Once user click OK, it will retweet the post. By the time this is happened, Tweetdeck server temporarily down for awhile for fixing and 40k of retweeted post has been done.